How much money will you need in India? ₨2,093 ($30) is the average daily price for traveling in India. The average price of food for one day is ₨468 ($6.75). The average price of a hotel for a couple is ₨2,350 ($34). Additional pricing is in the table below. These average travel prices have been collected from other travelers to help you plan your own travel budget. How much money do I need for India? 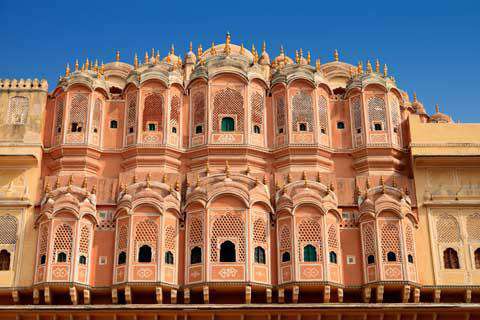 India is one of the world's most affordable and impressive destinations. It is a country of extremes. From its vibrant colors, rich scents, and strong flavors, to its strong spirituality and welcoming people, India truly has something for everyone. It's a country where poverty sits next to wealth, beauty is intertwined with filth, and structure is found amidst chaos. It has cities, like Varanasi, where religion and spirituality touch its very essence. It has natural beauty that is unsurpassed elsewhere but it also has a growing economy that is becoming an influential force in the world. The eager friendliness of the people is endearing, and the food is unforgettable. India's vast size as well as its dramatic diversity from south to north and east to west, make it a country easiest visited over the course of several trips. It can be challenging to see the entire country, even with many weeks to explore. In the north you'll find the culturally and historically rich areas of Delhi, Varanasi, Rajasthan, and Agra (with the Taj Mahal). In the south you'll find the more rural and absolutely beautiful areas, with a more laid back feel and some of the country's best food. Wherever you go, it truly is Incredible India! Travel costs in India are some of the lowest in the world. Budget travelers flock here because they can stretch there money in unexpected ways. Cheap hotels can cost as little as a few dollars in some places and filling meals can be purchased for equally as cheap. The best way to ensure you get a good deal is to negotiate hard, and rarely make reservations. Unless you're traveling during a peak time period when hotels and transportation fill up, you likely don't need advanced reservations. The one exception to this is the trains. Some train trips should be booked weeks in advance, while others can be booked the day before. It's almost always possible to show up in a town without reservations and you can get a good deal. For comfort and peace of mind, reservations in larger cities such as Mumbai or Delhi are recommended. India is a large country with both rural and urban areas. If you're spending an extended amount of time in the country you'll probably be surprised to find that prices are actually cheaper in many cities than they are in rural areas. This is in large part because of the limited competition that exists in the more remote areas. There are few hotels and restaurants when you're well out of town, so you can expect to pay a little more. Prices are still incredibly low though, so wherever you go in India, you're likely to get a good deal. The Indian population is incredibly welcoming. Prior to visiting India you'll probably hear many stories about the scams and ripoffs that can happen. While these do exist, do not let them intimidate you. The vast majority of the population will go out of their way to make you feel welcome. Strangers will help you negotiate a rickshaw and families will invite you into their home. Restaurants in large cities are often well overstaffed. Particularly at the more high end restaurants, don't be surprised to find a herd of people waiting on you. They'll stand attentively by while you read over the menu or enjoy your meal. It can be a little intrusive at first, but don't let it get to you. They are just hoping to make your experience as enjoyable as possible. It's easy to find budget accommodation in India for little more than a few bucks. If you want comfort and style, you don't have to spend much more to stay at a very nice and modern place. This is true in most cities around the country. If the place seems empty you can probably talk the price down even further as well, so do not hesitate to negotiate. You're likely to encounter touts in most major tourist destinations around India. They will want to show you to a hotel or help you with a taxi. You will likely pay a large commission for these services so it is best to go it alone. It is not hard to find hotels and negotiate your own price. If possible, avoid the touts. Taj Mahal: Perhaps the most iconic sight in India, this beautiful symbol of love is a must see for any trip to India. It's located in the city of Agra, which is reachable by train from Delhi. It's probably the most photographed and famous attraction in all of India. Kerala: Located in the southern part of India, Kerala is a beautiful land that is great for wildlife and health based holidays. It's a spiritual area and not to be missed on any trip into this region of India. Varanasi: Situated on the banks of the Ganges River, this strongly religious city offers you a little insight into the festivals of the Hindu religion. It's one of the most religious cities in the country and is rich with colors, flavors, and sounds. Indian food is rich and flavor. Rice is a staple and most meals come with a side of naan bread. While traditional Indian food is quite spicy, in touristy areas its easy to get a meal that is quite mild. If you want it spicy, you may even have to insist on it that way as waiters are used to foreigners requesting their meals with "no spice." Dal Makhani: This popular vegetarian dish of slow cooked lentils is richly seasoned and cooked like a stew. It's usually served with a side of rice and vegetables or salad. Tandoori Chicken: This is one of the most famous Indian dishes and is a heavily seasoned and roasted chicken dish. It is bright in color mainly because of the turmeric and cayenne pepper and is slow cooked in a tandoori oven. It is typically prepared spicy, but some places have it available in a mild flavor as well if you request it. Chungdi Jhola: This is a saucy, prawn curry dish that is heavily spiced and rich in flavor. It's popular in the coastal cities, particularly in the south and is a favorite with many locals. The government buses in India are pretty good. They're often a little cheaper (but not dramatically so) than the private buses, and they're more frequent. If the private bus schedule is inconvenient or infrequent, head to the government bus station and you'll likely be able to hop on a bus within an hour or so (depending on your destination). When you're traveling in touristy areas that are used to catering to restaurant tastes, you'll find that most of the food isn't as spicy as you might think. It may even be milder than the Indian food you eat at home. The restaurants are accustomed to western tourists requesting food with "no spice" and are prepared to make it that way. You may even wish they'd made it a little spicier. When you're off the beaten path a little more, this likely isn't the case, and food will be quite spicy.